The Berlin-based label German Garment by actor Matthias Schweighöfer and host Joko Winterscheidt presents a new collection as well as a new brand image: grown-up, smart and minimalistic. Together with designer and co-owner Oliver Schleith the label further expands the sustainable production in Germany. Brand look and new collection focus on the absolute essential without losing coolness or charme. Reduced designs and new, detailed cuts as well as perfect workmanship come together in a collection that revolves around the theme 'Digital Age' - in a familiar critical-ironic manner. The new collection 'NOBODY READS YOUR F*** BLOG' expresses the newfound clearness with zeitgeistiger typography as well as puristic manual designs. 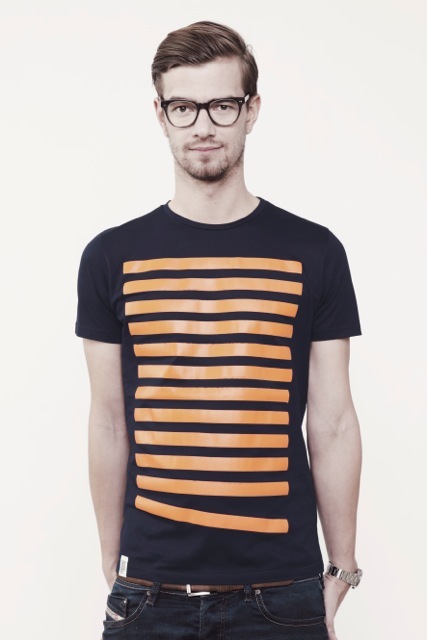 For the first time German Garment also offers blank t-shirts for men within the basic line.